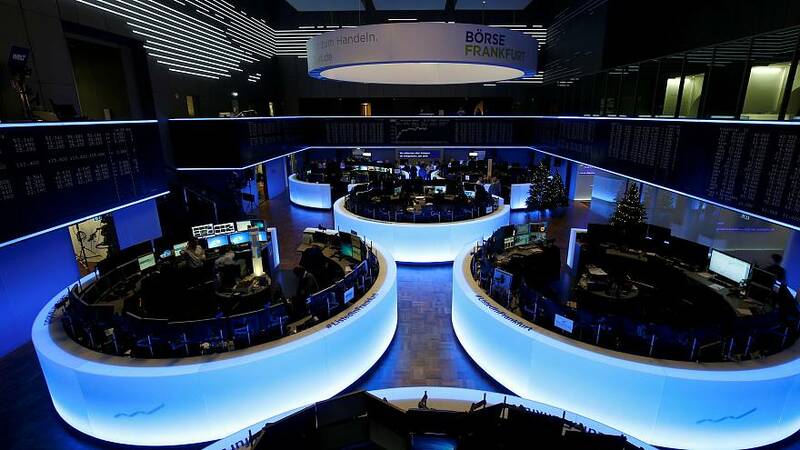 European shares opened in negative territory on Tuesday as growth worries weighed on global markets and disappointing results from UBS added to the gloom and dragged the banking sector down. At 0923 GMT, the STOXX 600 <.STOXX> was down 0.1 percent, with bourses all across Europe losing ground as a new batch of corporate updates failed to change a risk-averse mood. Oil prices, Asian shares and U.S. equity futures also fell after the International Monetary Fund trimmed its global growth forecasts and a survey showed increasing pessimism among business chiefs as the rich and powerful gather at the World Economic Forum in Davos, Switzerland. Mediobanca analysts told their clients that while the IMF's forecast "does not mean we are staring at imminent downturn, escalation of trade tensions, and worsening of financial conditions are key risks to the outlook along with a no-deal Brexit and a greater than envisaged slowdown in China". Swiss bank UBS was down 4.7 percent after its fourth-quarter earnings sent jitters across a sector which is struggling to recover after a catastrophic 2018 during which it lost nearly 30 percent of its value. The banking index was the worst sectoral performer, losing 1.4 percent with Deutsche Bank , Julius Baer and Societe Generale retreated 2.4 percent, 2.1 percent and 1.9 percent respectively. British online financial trading company IG Group was the worst overall performer on the STOXX 600, down just over 6.4 percent as it reported a drop in profit as global regulators tighten rules on products that allow retail customers to make high-risk financial bets. In Milan, a stock rating downgrade contributed to push Telecom Italia down to a record low as it fell 3.4 percent. A bright spot was German fashion house Hugo Boss which predicted more expansion this year after it saw sales growth pick up at the end of 2018. Another ray of light came through the form of China's unquenched thirst for cognac which helped French spirits group Remy Cointreau deliver stronger-than-expected third quarter revenues. EasyJet was another winner, gaining 3.6 percent as investors decided to take a positive view of a trading update in which the budget airline unveiled it lost 15 million pounds in travel chaos sparked by drones flying into London's Gatwick Airport in December. Analysts at RBC said they had trimmed their profit-before-tax forecast for easyJet by 3 percent as a result of the Gatwick disruption, but retained their "outperform" rating as "far worse" earnings cuts were already priced-in. The Travel and Leisure sector in Europe <.SXTP> was one of the best performing sector as a result, up 8.8 percent.